Written and Performed by Richard McLester. 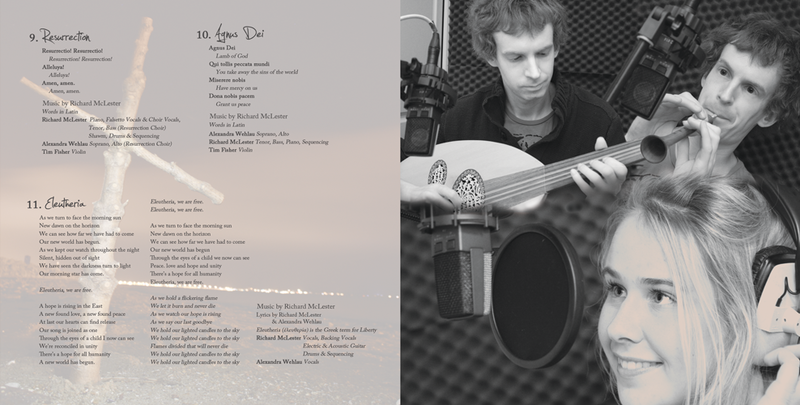 Featuring vocalist Alexandra Wehlau. 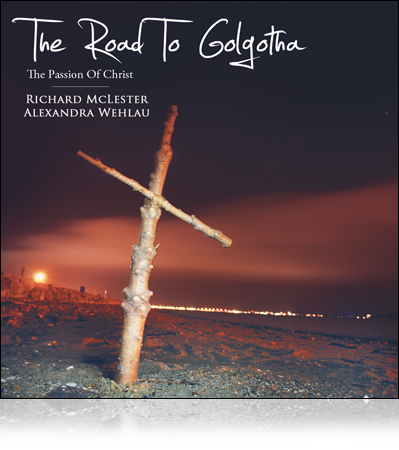 The Road To Golgotha is the Soundtrack to The Poole Passion 2014 and follows the story of Christ’s crucifixion and resurrection. 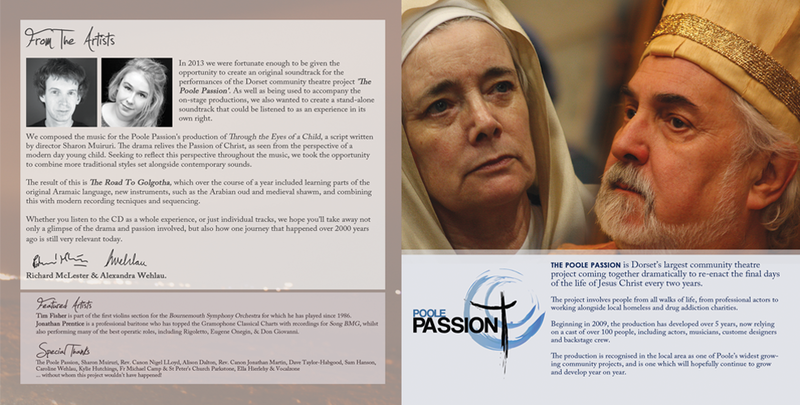 The cd contains words from Aramaic, the original language from the time of Jesus and although the music will be used to accompany the Poole Passion performances, it also stands on its own as a piece of work in it’s own right. 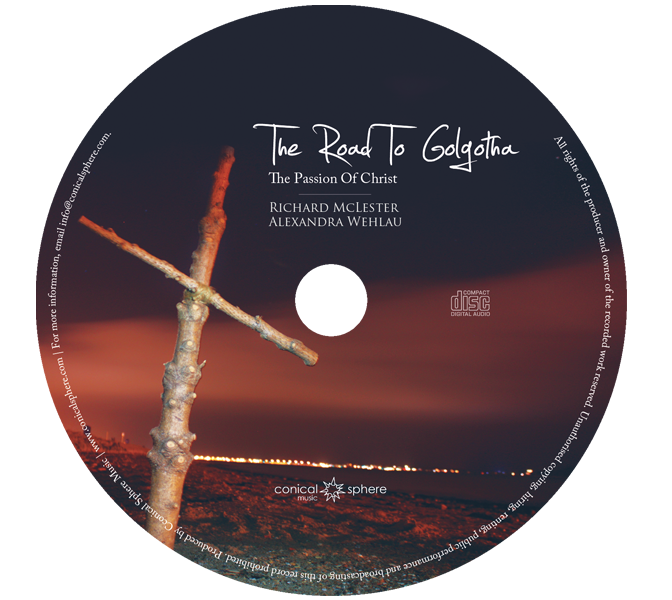 All of the music has been written and recorded by Richard McLester. Featuring Alexandra Wehlau. 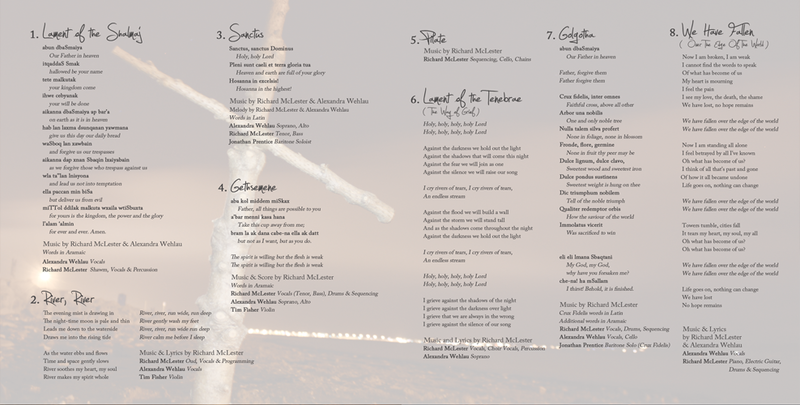 Tim Fisher (1st Violins, Bournemouth Symphony Orchestra) appears on tracks 2,3,9 & 10 and Jonathan Prentice (Professional Baritone) appears on tracks 3 & 7. 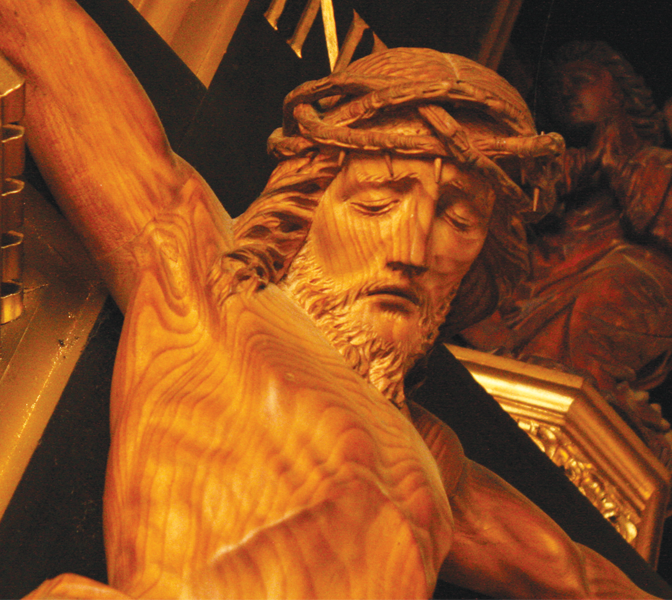 Total Running Time: 50 minutes 15 seconds. 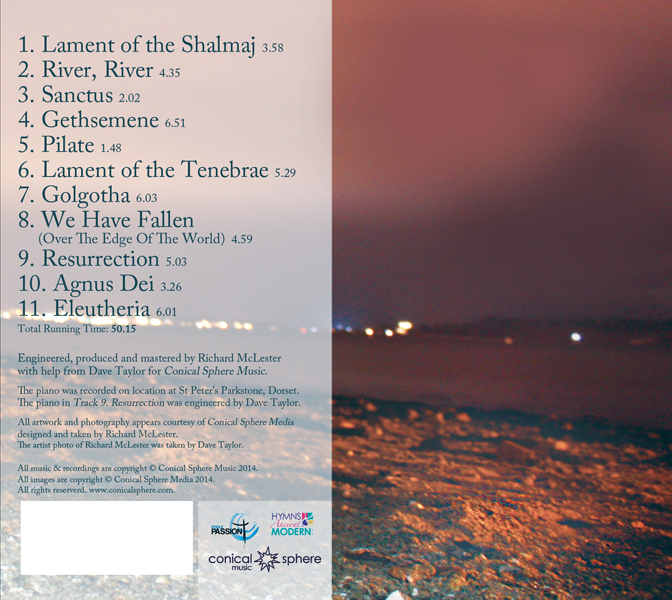 Engineered & Produced by Richard McLester with support from Dave Taylor for Conical Sphere Music.